I baked this on last weekend. 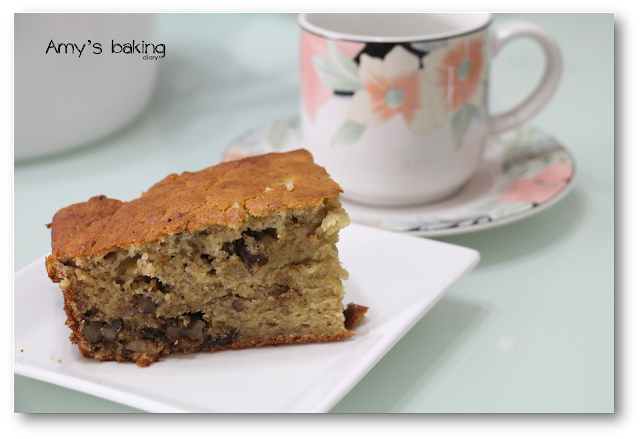 It’s a very fragrant cake and it’s another one of my best banana cake recipe. This is a wonderfully soft, fluffy, moist and has natural banana fragrant at the same time. It’s lovely with tea for an afternoon snacks. 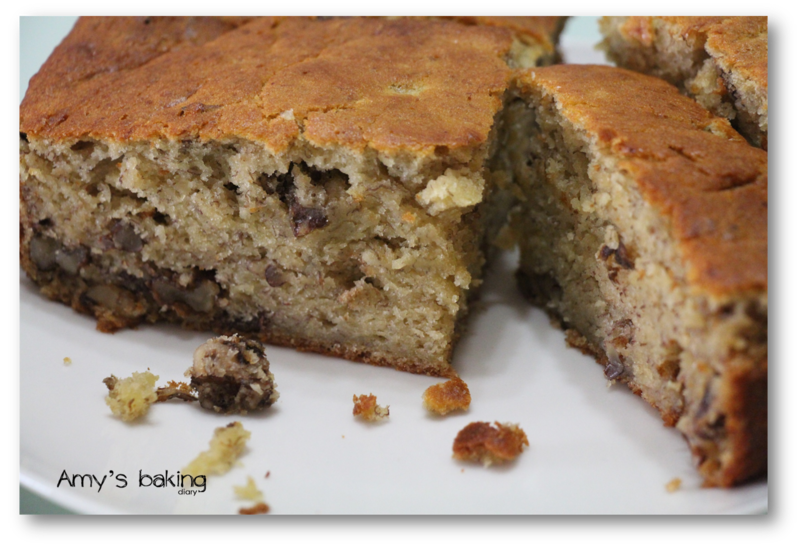 Over ripen bananas are really ideal in making bananas cake! The ripen the better J as they have sweet taste and very fragrant. 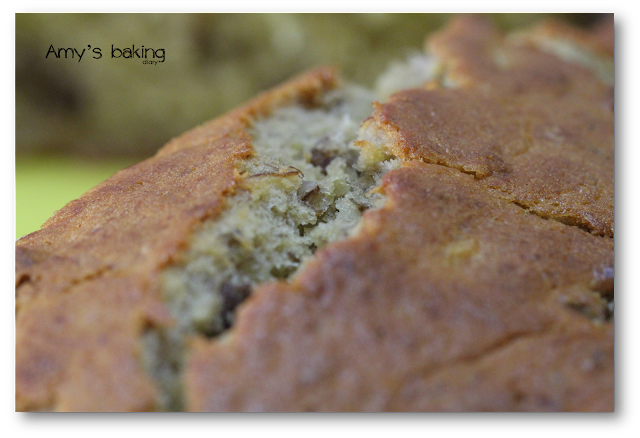 The aroma of the banana from the oven filled my whole house while it is still baking. Such a delight! Thanks to my ex-colleague, Pancy. 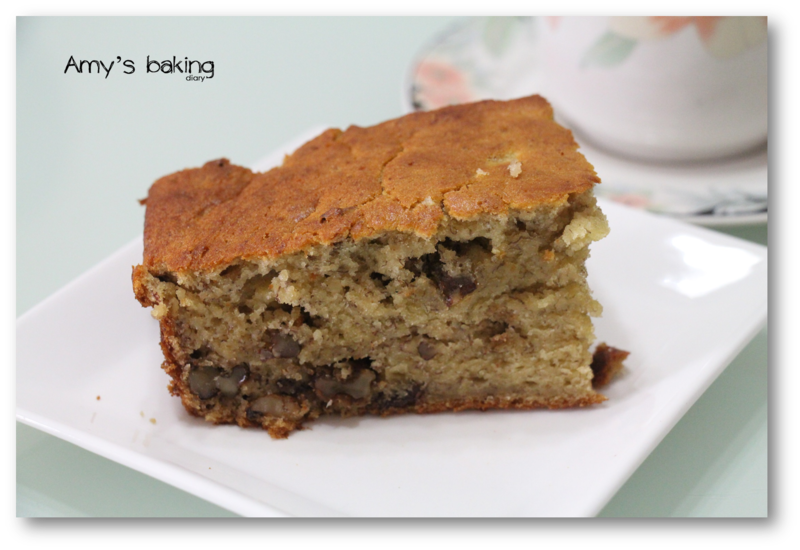 This is definitely one of the best banana cake! Yummy! No leftover. All finished within the day. (3)Sift flour, baking powder and bicarbonate of soda into a mixing bowl and set aside. (4)In a clean mixing bowl, cream butter and sugar until butter is pale in colour. (5)Beat in eggs, then add lime juice, milk and ground cinnamon. (6)Add in mashed bananas in 2 parts and mix well. (7)Gently fold in sifted flour mixture by hand. Mix well until a smooth batter is formed. Pour batter into the pan and bake for 40–50 minutes. (8)Remove and set aside for 10 minutes to cool before removing from tin. Hi Amy, I like the look of this cake, sure sounds delicious and moist! The addition of pecan or walnut sure sounds good. This looks really moist, Amy!! !